Rating: 4.6/10. From 25 votes. Summary: The description, specs, photos, pricing and user ratings for the Rock River Arms 1911-A1 Bullseye Wadcutter pistols. 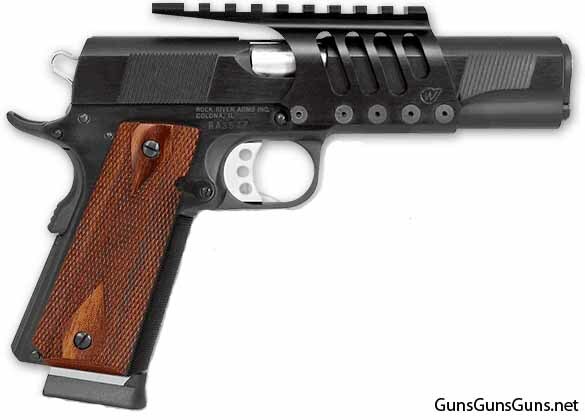 The Rock River Arms (RRA) 1911-A1 Bullseye Wadcutter is a semiauto pistol built on a full-size RRA national match forged-steel frame with a full-length RRA national match forged-steel slide, and chambered in .45 ACP. You can buy this pistol with a rib rail (which includes front and rear sights), a slide-mount rail, or a Weigand frame-mount rail. 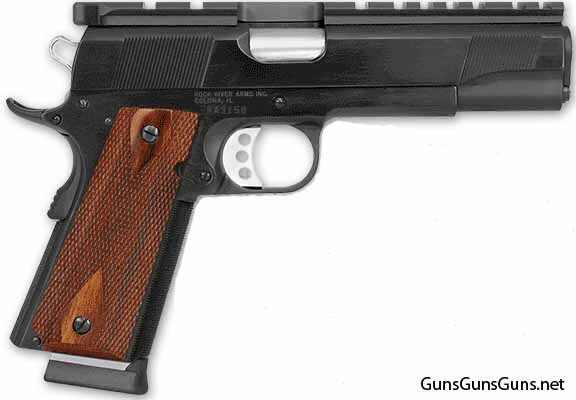 The 1911-A1 Bullseye Wadcutter with the slide-mount rail. RRA guarantees this pistol will shoot 1.5″ groups at 50 yards with 185-grain Federal Gold Match semi-wadcutter ammo. The 1911-A1 Bullseye Wadcutter with the rib rail. The 1911-A1 Bullseye Wadcutter with the frame-mount rail. 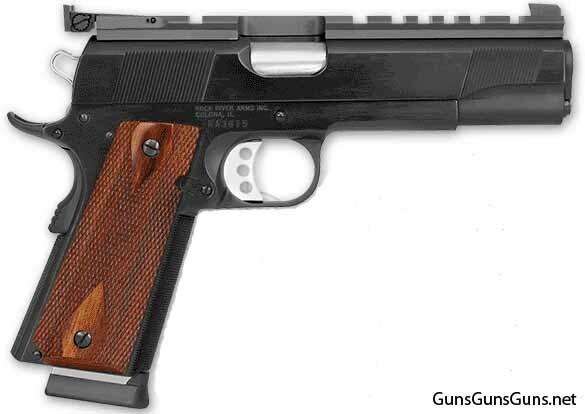 This entry was posted in .45 ACP, $2,501-$2,750, 1911, Full size, Rock River Arms, Semiauto on November 13, 2015 by Staff.